The WHO Country Office in Tajikistan was established in 1992 in Dushanbe city to provide technical assistance to the Ministry of Health in strengthening of the public health system in the country. 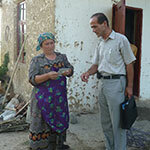 The Office is the focal point for WHO activities in Tajikistan. The country team consists of 24 staff members, including 12 experts in the fields of health policy and financing, immunization and surveillance, epidemiology, communicable diseases, disaster preparedness and response, family and community health, nutrition, food safety and food security, mental health and environment and health. 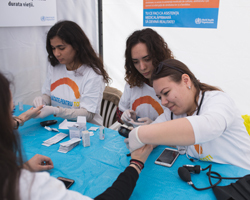 Find out more about how the WHO Country Office works with the Government of Tajikistan and other partners to build a better, healthier future for the people of Tajikistan.